Sharon N. Dwyer Varga, 57, of Milford, beloved wife of Steven Varga, passed away on November 8, 2018. Sharon was born on May 12, 1961 to William and Evelyn Dwyer. Along with her husband and parents, Sharon leaves behind her sons, Michael Varga and Daniel (Jessica Tucci) Varga; sisters, Kathy Dwyer Pough and Janet Dwyer; nephew, Zachary Pough and the extended Dwyer family and many friends. A Mass of Christian Burial will be celebrated on Monday, November 12, 2018 at 10:30 a.m. at St. Mary Church, 70 Gulf St., Milford, CT. Interment will follow at Union Cemetery, 23 Temple Ct., Stratford, CT. Friends and family are invited to call on Sunday, November 11, 2018 from 4 p.m. to 8 p.m. at the CODY-WHITE FUNERAL HOME, 107 Broad St., Milford, CT. 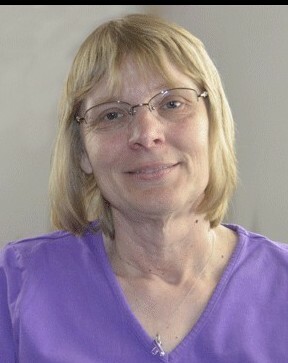 Contributions in Sharon’s name may be made to The Lustgarten Foundation online at https://www.lustgarten.org/donate/.